It's gorgeous outside today which is perfect for firing up the grill! We love pesto's of all kinds, from the classic Garlic & Basil, to our more fun creations Roasted Red Pepper & Pecan, Cilantro & Jalapeno, Strawberry Pesto, & Pistachio & Cranberry. 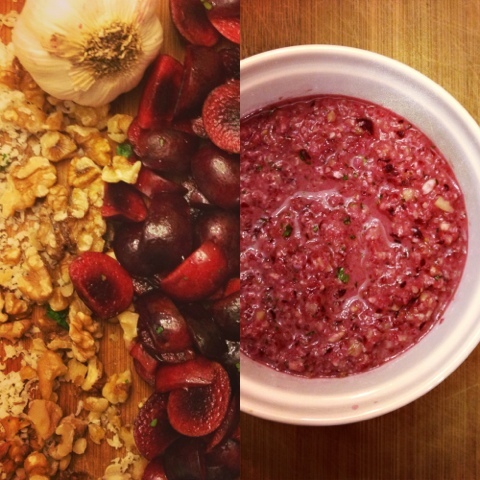 Today we are mixing things up yet again and working with one of our favorite summertime fruits, the cherry! We simply marinated our lean chicken breasts in this yummy goodness and then let our hubbies get to work on the grill ;) That's another perk of grilling! A grill pan, however, would work just as nicely. 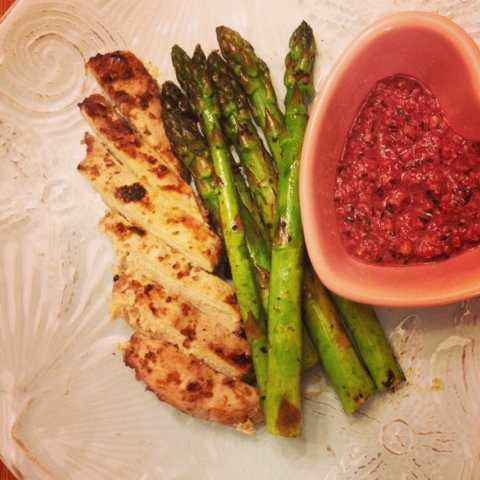 We served our Cherry & Walnut Chicken Breasts up with asparagus. We simply sauteed our asparagus spears with fresh garlic for the perfect side dish! This is a great option for Father's Day tomorrow if you're having a BBQ! 1. 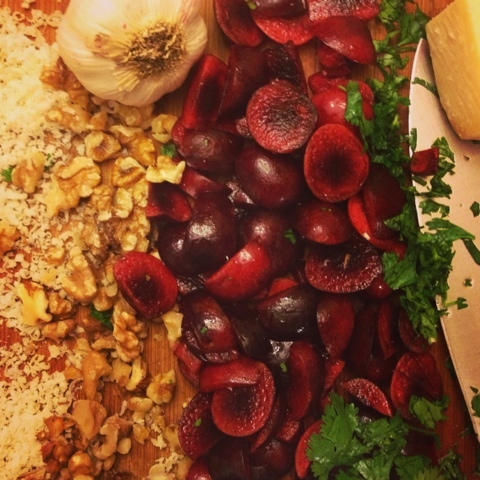 To make pesto add pitted cherries, walnuts, garlic, parmesan cheese, cilantro and one tbsp olive oil into food processor/blender and blend until smooth. Add salt and pepper to taste. 5. Serve up chicken and asparagus with remaining pesto for dipping. WhatsApp 209 New Version will be instantly released and can be downloaded by everyone easily be downloaded in the stall application is available on Your mobile phone.